Are you seeking specialized hands-on training workshops in healthcare simulation related practices but don’t know what the options are? Looking for training in debriefing, designing and running a simulation center, surgical simulation, technical courses or more? Fear not Simulation Champions for HealthySim has you covered with these workshops around the globe. Have one we missed, submit an article and we will share it with the world! 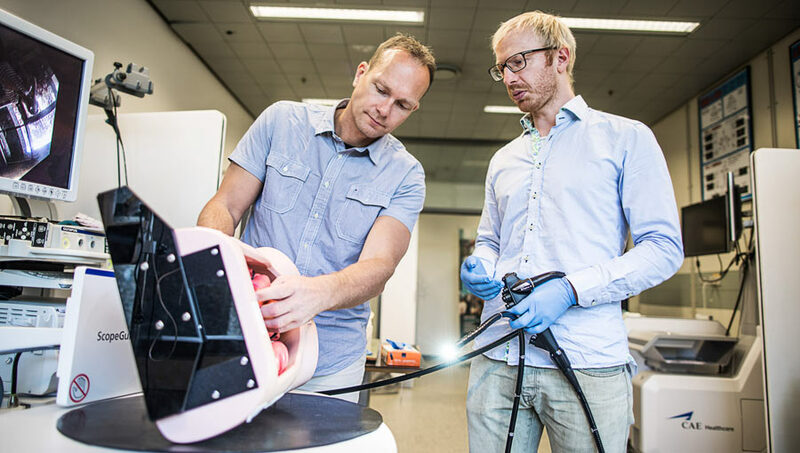 WISER Courses in Debriefing, Designing & Effectively Running Sim Centers, Laerdal Programming, and Technology Operations – Ongoing Dates: WISER offers several courses and programs to help those in the simulation community improve their skills. Their iSIM course is offered in various worldwide locations and we have had preceptors from all over the world spend time watching and learning at WISER. The iSim 3-day internationally renowned program, created in collaborative effort between WISER at the University of Pittsburgh and the Gordon Center for Research in Medical Education at the University of Miami, is designed as an introduction to fundamental skills and abilities for delivering simulation-based healthcare education through a variety of techniques and technologies. The program emphasizes hands-on activities and active participation to maximize simulation-based instruction skill acquisition. Class group sizes are kept small to allow for maximum participation. The primary audience for this course are healthcare educators wishing to improve their skills as instructors in simulation education. How to Run a Successful Simulation Center – May 16+17: Participants of this two day program will learn best practices associated with the operations of a simulation center. Key operational, administrative, and technological elements of a successful simulation center will be reviewed. Topics such as creating budgets, staff considerations, daily operations, course development, and simulator programming will be discussed. Interactive exercises will allow participants to practice what they learned during course sessions. Facilitator Training Series: Introduction to Facilitation and Debriefing – March 12, July 11, Nov. 12th: This course is designed to provide facilitators with an introduction to a variety of facilitation and debriefing techniques. Through a mixture of didactics and hands-on activities, participants will gain the skills required to become a more effective facilitator. Designing or Enhancing Your Simulation Center – May 3rd: This one day course is designed to assist those individuals or centers who are interested in designing new or updating existing simulation centers. This is an 8 topic course that will guide the participants, step by step, through the process of identifying their training needs and designing a world class simulation center to meet those needs. Topics include: Identifying Your Center’s Training Missions, Blueprints to Build Out, Designing Your Center, Identifying your Center’s Audio and Video Needs, Administrative Considerations, Job Descriptions, Creating Environments, and Additional Tips for Success. Laerdal Simulation Installation and Programming: This two day basic course enables participants to assemble their simulator, operate the simulator’s software user interface and plan and program scenarios. Upon completion of this course, you will return to your organization with the skills to operate your simulator both manually and through programmed scenarios. Upon the successful completion of the course, the student will be able to: Assemble and troubleshoot the simulator, operate the simulator using manual and scenario modes, and design and implement simple scenarios. Joan’s Hope Domestic Violence Education – Book Anytime: The workshop is conducted in the nursing skills lab or other non-clinical setting and replaces a clinical day. The morning is composed of large group activities. Students watch the engaging film titled Telling Amy’s Story. Gaps in care are identified and students are motivated to learn more. A discussion and PowerPoint presentation addressing the nursing role related to assessment, support, referral and documentation of domestic violence is presented. After the lecture, students play the game “In Her Shoes” and attempt to navigate their way out of a violent relationship. Participants experience first-hand the barriers and injustices faced by actual victims. The afternoon is broken into three one-hour stations, which focus on support, referral and documentation. In the support station, students role-play interacting with victims of violence. In the referral station, students view the film Domestic Violence and Health Care, look up actual resources available in their community and explore educational literature from various organizations. During the documentation station, students view short video clips and document the exchange, document injuries using the written word, body maps and photography. Students interact with standardized patients. One of the scenarios involves mandatory reporting. UIC Standardized Patient Educator Programs – March, April & October: Learn to create compelling standardized patient based educational programs to enhance healthcare professions education. Designed for simulation educators in the health profession including directors and staff of simulation & SP programs and faculty who wish to leverage SPs to enhance their programs. Two day workshops in SP Project Coordination (March 29-30) Instruction & Assessment with SPs (April 23-24). One week intensive program for an SP Educator Certificate takes place October 22-26. All courses are led by Dr. Rachel Yudkowsky, MD, MHPE, Robert Kiser, and other facult and staff of the Dr. Allan L. and Mary L. Graham Clinical Performance Center of the University of Illinois at Chicago College of Medicine. Surgical Simulation Masterclass from Copenhagen Academy for Medical Education & Simulation – June 18 -22: The CAMES Surgical Simulation Masterclass is designed to teach leaders and medical educators how to develop, implement, and run an evidence-based simulation program for surgical training. Based on solid theoretical frameworks, the intensive one-week masterclass will have a practical focus on the use of effective and evidence-based teaching methods that allows participants to directly implement the learned skills in their own context. Learn to: design a curriculum, develop dedicated custom-built training models, use effective and evidence-based teaching methods for surgical training and simulation-based certification (mastery learning), and plan and conduct research studies regarding surgical simulation. The CAMES Surgical Simulation Masterclass consists of intensive lectures, group discussions, workshops, and hands-on train-the-trainer courses with phantoms, virtual-reality simulators, and live animals. Number of participants is limited to allow for an intensive format. The program is led by Lars Konge MD, PhD, Professor & Head of Research and the Simulation Center at CAMES. 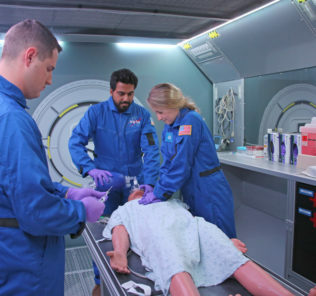 Mayo Clinic Simulation Instructor Development: Comprehensive Course – Feb. 27 – March 1, May 21-23 & September 17-19: This three-day multidisciplinary interactive course will develop instructors for simulation-based education. Participants learn the principles of experiential learning, including types of simulation, course design and debriefing strategies. Learners practice these concepts with the assistance of experienced faculty. Enrollment is limited to encourage maximum engagement of all attendees. Learners will: Demonstrate understanding of fundamental concepts of simulation-based education, develop performance objectives for simulation-based education, and create and facilitate a learner-focused simulation scenario for a multidisciplinary audience Lead an effective and organized debrief session. Course directors: Torrey A. Laack, M.D. Denise A. Foy, M.S.N., R.N., RN-BC. Mayo Clinic College of Medicine and Science designates this live activity for a maximum of 20.75 AMA Category 1 Credits™. Physicians should claim only the credit commensurate with the extent of their participation in the activity. Center for Medical Simulation & Robert Morris University Gateway Debriefing Workshop – March 23: This “Gateway” Debriefing Skills Workshop provide an introduction to Debriefing with Good Judgement. This innovative workshop combines a daylong immersive in-person experience with online learning that includes customized peer and mentor feedback. The workshop will: immerse participants in the deliberate practice of skilled debriefing, connect you to a community of colleagues so you can continue to develop, teach participants to efficiently improve future performance, demonstrate setting higher standards while regarding learners highly, and practice multiple phases of debriefing. The workshop serves as an into to the CMS’ multi-day Instructor program. Certificate of participation and CE units provided. Taught by Dr. Mary Fey PhD, RN, Associate Director of the Institute for Medical Simulation at the Center for Medical Simulation in Boston. Subscribe to the HealthySim Newsletter for all the latest global workshops!